Actor Ryan Gosling's daughters think his day job is out of this world and that he works on the moon. 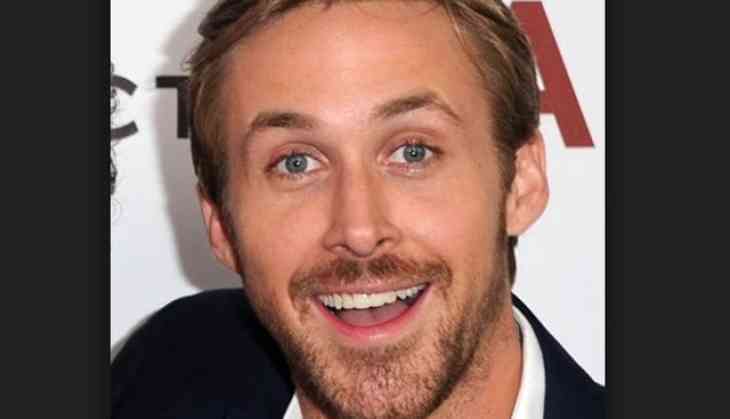 Gosling's children with Eva Mendes -- Amada Lee, 2, and Esmeralda Amada, 4 -- got a wrong idea when they saw Gosling, 37, filming his new movie "First Man" as Neil Armstrong, the first person to walk on the moon, reports people.com. "They came to set," the "Blade Runner 2049" actor recalled on an episode of "Jimmy Kimmel Live"
"They came on this day where I was shooting a launch scene, so I was in the spacesuit and pretending to launch. I think they think I'm an astronaut now. My oldest said the other day - she pointed to the moon - she was like, 'That's where you work, right?'" In September, Mendes told Entertainment Tonight about her daughters' misunderstanding. "They loved it, and they now think Poppy (father) is an astronaut. We haven't corrected them yet," Mendes said.